Social media, in my opinion, is the face of our planet right now. It is used for everything. People advertise, communicate, argue, do research, start relationships, get jobs, stalk their favorite celebrities etc. It is the new form of human interaction and it has swept the developed world. Twitter has 313 million active users, Facebook has 1.7 billion users, and Instagram has 500 million just to name a few. With the mass popularity of these platforms, some people are bound to use some them more than others. But are there people out there who actually have an addiction? Based upon this definition, one would have to be trapped by this habit, and the act of doing something such as not being able to access social media, or the deletion of an account would traumatize them. Dr. Pamela B. Rutledge wrote an article for Psychology today taking a stance for the other side of this argument. She believes people throw around the word, “addiction” too often in regards to social media. She believes its the same as someone saying they are addicted to chocolate. Sure, they may enjoy chocolate and indulge in it more than they should every now and again, but if chocolate was taken away from these people they wouldn’t go through withdrawal. The same holds true for social media. The article also goes into depth on how using social media is just a new and exciting way to communicate, so if people are spending time on it then so be it. On the other side there has been studies conducted trying to prove the opposite, that some users are truly addicts. Dr. Rutledge referenced a study where 200 students at the University of Maryland were asked to go 24 hours without any access to any media, and then write a reflection on their experiences. Although not empirical, the results were very interesting. Some students reported having mood changes, feeling sad, depressed, lonely, and confused to name a few. Others reported that they naturally ended up browsing the web or accessing other forms of media without even thinking about it, and had to stop themselves after instinctively doing the action. Some reported a “Phantom Ringing” phenomenon, where they felt a buzz in their pocket, or heard a ring that wasn’t there. Personally I have felt a “phantom” buzz in my pocket on different occasions, and I had no idea it was a phenomenon. And of course, some of the participants straight up couldn’t make it the 24 hours. Although some of these students reports use words that may fall under addiction, its hard to tell if it could be a medically diagnosed addiction. The problem with answering this question, is how new social media is. Spending hours at a time scrolling through feeds, and feeling the need to check social media every 5 minutes, is definitely unhealthy. Although on the other hand social media is a form of communication and a lot of good things can come from it. If you’re spending hours online talking to people, building relationships, building a personal brand etc. Is that really a bad thing? Because social media is so two sided, there is no true evidence to support my hypothesis that social media can become an addiction. I personally believe it could definitely be an addiction, as I find myself instinctively checking social media, without even realizing what I’m doing, and my friends do the same. We have the ability to control ourselves, and going back to the definition, I don’t feel enslaved by the habit. Although, I would bet there are people out there who can’t and truly are dependent on social media. This entry was posted in Uncategorized on October 21, 2016 by Casey Brennan. Water is everywhere. It takes up about 70% of the Earths surface and makes up 60% of the mature human body. All organisms drink water daily in order to survive. Humans were blessed with the intellectual ability to filter water, have running water, and bottle water to drink wherever. 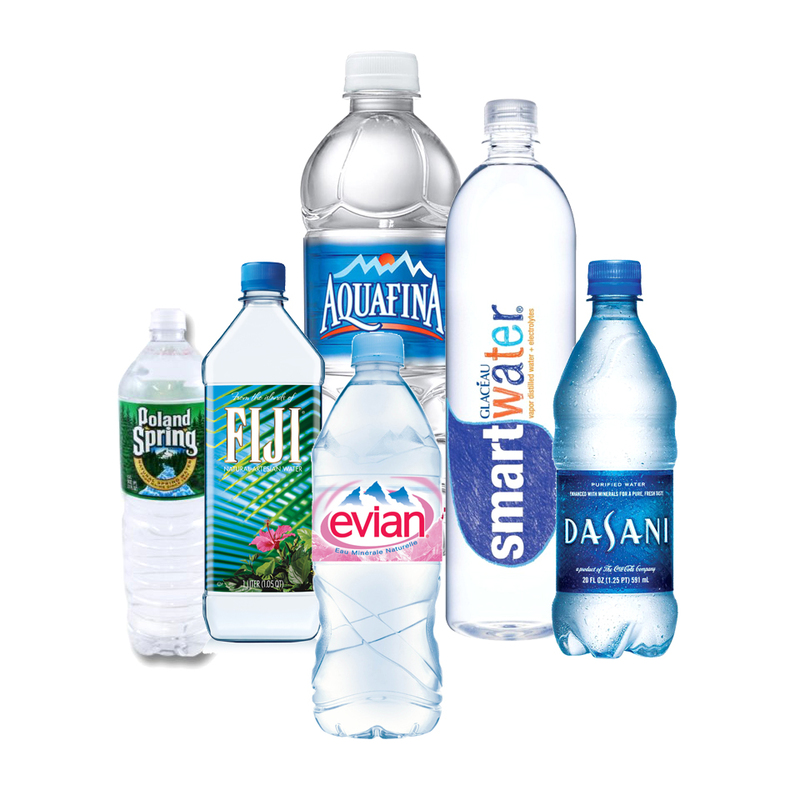 Focusing specifically on the bottled water, one can go into a grocery store and see a multitude of brands of water. Many of them having different prices, and some claiming to be “better” than others. But isn’t H2O in one bottle the same as the H2O in the one next to it? According to the Environmental Protection Agency (EPA), apparently not. I always thought that when the label on the water said, “purified” or “spring water” it was just for marketing purposes. It turns out its actually referring to the process the water went through before becoming bottled. The six types of water the EPA listed was distilled, spring water, purified, sterile, mineral, and drinking water. Distilled Water- Water is boiled and the steam from this is condensed then bottled. All possible contaminants, microbes, and natural minerals are eradicated. Spring Water- Water is collected as it streams up from an underground aquifer. Purified Water- Water must meet the standards of the US Pharmacopeia to be considered purified. It must not contain more than 10 ppm of dissolved solids, can’t contain microbes, and any other contaminants must be absent. Sterile Water- Water must also meet the standards of the U.S. Pharmacopeia to be considered sterile. It must be microbe free. Mineral Water- Ground water that is unaffected by humans and naturally consists of at least 250 ppm of dissolved solids. As far as taste goes, water does in fact have different tastes depending on how its treated. The process of distilling water removes all foreign entities from the water, including natural minerals which gives water some taste. Therefore it tastes very flat and any of the natural minerals that can be nutritious are eliminated, although it will definitely be free of contaminants. Sterile water is in the same boat. Purified water is free of contaminants but also can lack some natural minerals. Spring water may or may not be purified so there has been instances in which spring water has had contaminants in it. 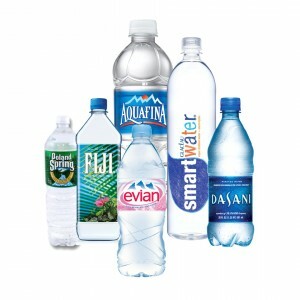 The National Resources Defense Council conducted a study over four years and tested 1,000 bottles per brand. Approximately 22% of the brands tested for chemicals that were higher than state requirements in at least one of their respected samples. Drinking water may be the best bet as even though it can come from a tap, many times it has added disinfectants such as fluoride or chlorine. Fluoride especially is vital for dental health in children. Chlorine can give it an off-taste but if refrigerated over night that can be eliminated. Last but not least, mineral water. 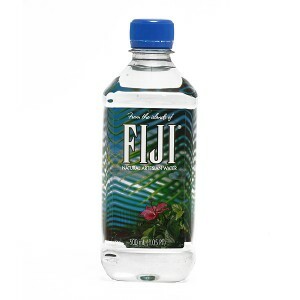 I personally think its ridiculous to pay double the amount for a bottle of fancy water, but I am ignorant to any possible health benefits they have. A confounding variable in determining the healthiness of mineral water is the fact that it can vary in what/how many minerals it contains. Depending on where its from, it could contain good minerals like calcium, zinc, iron, magnesium, potassium, nitrate, sodium, sulphates, and bicarbonates. Although the exact amount of each one is unknown for each bottle. Another confounding variable is the amount of minerals the body actually absorbs. The amount of minerals is so non-substantial that the amount the body absorbs is almost undetectable depending on the person. Personally, I’m sticking to the store brand purified water. This entry was posted in Uncategorized on October 20, 2016 by Casey Brennan. Can Turf Fields Cause Cancer? Personally I have played sports my entire life. I’ve played basketball, baseball, lacrosse, soccer, and ran cross country throughout my athletic career. For a majority of these sports, many of them required the use of an outdoor grass field. A field like this requires constant maintenance. The field has to be watered properly, mowed every week, new lines have to be spray painted on for certain sports, and when it rains the field is usually rendered unable to use. To combat this synthetic turf was created. Synthetic turf fields, as most of you may know, are fields that mimic grass fields without using real grass. The actual turf part is made out of synthetic fibers, usually containing nylon, polyethylene, and polypropylene. None of these materials are necessarily harmful to humans in the format they are being used in. To base the turf, a combination of sand and crumb rubber is used. Crumb rubber is where the problem lies. Crumb rubber are the little black pellets that lie within the strands of artificial grass. 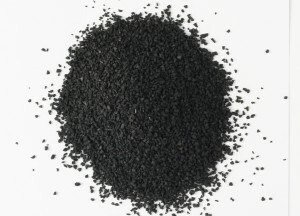 The crumb rubber is usually made from recycled tires, and other recycled rubbers. Because it is made from recycling other objects, the exact ingredients within each granule of crumb rubber could be different. Some of these ingredients have also been proven to be harmful. A usual scrap tire contains 70% recoverable rubber, 15% steel, 3% fiber, and 12% of filler materials. In order to make the crumb rubber, the tire goes through an ambient process in which the recoverable rubber is separated out from the rest of the materials. Each company has its own ambient process and this is currently unregulated which can lead to harmful granules being produced. So what exactly is harmful about the crumb rubber? Other than the lack of regulation, many studies have bee done to examine what is really harmful in the crumb rubber. One study conducted by the University of Connecticut Health Center (UCHC) studied air concentrations on five different active fields, and looked for 200 different chemicals. The study was looking for any volatile organic compounds (VOC) or semi-volatile organic compounds (SVOC) found in the air surrounding the fields or within the crumbs themselves. 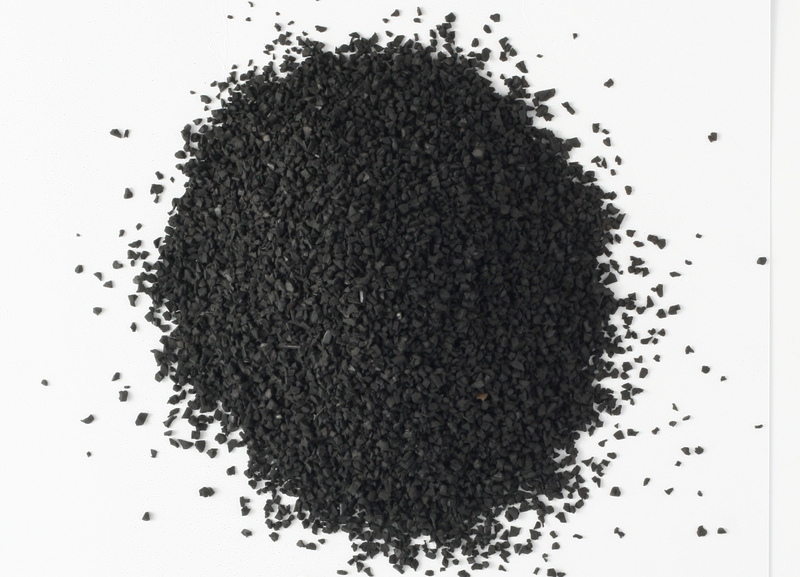 The four most common VOCs found within the rubber crumbs were acetonitrile, methylene chloride, methyl alcohol, and methyl isobutyl ketone. As far as compounds in the air, the SVOC Benzothiazole was the most common. Not much is known about these compounds in regards to human consumption, although they all contain acute-toxicity. Benzothiazole (BZT) is known to cause respiratory issues and dermal sensitization. BZT has also been found in salmonella during metabolic activation, which means when the compound is broken down by the body, a carcinogen could be activated and mutations could occur, which is what causes cancer. Another study conducted by The Connecticut Department of Public Health once again revealed toxic compounds on synthetic turf fields. Four fields were studied, an adult outdoor and indoor field, and a children’s outdoor and indoor field. Two VOCs that cause the greatest risk for cancer were found in the fields were benzene and methylene chloride. BZT was found in higher numbers in the indoor fields, as the compound is airborne, and the indoor facilities contain it more than the outside fields. Because of this, the indoor field cancer risks were two-fold that of the outfield. Although it was concluded that even though cancer risks were slightly above the minimum regulatory levels, the cancer risk was not to be published as a public safety concern. Lead was found in a study by Connecticut Department of Environmental Protection where runoff from turf fields was tested for different leached metals. Along with this, high levels of zinc were found and were proved to be harmful to the surrounding groundwater and surface water. As shown by these studies multiple toxins and possible carcinogens have been proven to be within and emitted by crumb rubber pellets. The main problem is a lack of testing. Many of these toxins have unknown effects on humans, and there potential as carcinogens is unknown. There are also an extreme amount of confounding variables as each granule can differ in what it contains, as well as the fact that each company could use different tires, materials, and methods to produce them. This makes creating a statistically significant result that is widespread very challenging There is also discrepancy on high the levels of these VOCs and SVOCs have to be to cause an effect on humans, but either way more testing has to be done in order to solve this potential issue. Is the “5 Second” Rule Actually Accurate? Everyone has dropped food on the floor at some point in their lives, and most likely following this someone probably yelled out, “Five second rule!” This refers to the notion that food can remain on the ground for five seconds until people deem it unsafe to eat. Although, the question I pose is this actually true? Is this common phrase just a natural reaction to dropping food or is there any truth to it? It would be impossible to test all types of bacteria on all types of foods while accounting for all possible surfaces. Although, several specialized experiments have been conducted to give a better insight as to what happens between the food and the bacteria. Paul L. Dawson of Clemson University conducted an experiment where the bacteria Salmonella Typhimurium was used to observe how different types of food react when on different surfaces. Three surfaces were analyzed and they were tile, wood, and carpet. To go along with this bologna was placed onto each of the surfaces as a determinant of how much bacteria would be transferred. The bacteria was suspended in a re-suspended pellet overnight, then was placed onto the surfaces with a glass rod. For each food, a 10×10 cm slice of the same weight was placed onto the surface and was left there for time intervals of 5, 30, and 60 seconds. This process was repeated for every 2,4,8, and 24 hours the bacteria was left on the surface to determine long term effects as well. The food was then sliced up into equally sized pieces and then placed in a rinse solution, in which the S. Typhimurium cells were recovered through decimal dilution. The bacteria cells were counted and converted to CFU, which is the number of S. Typhimurium cells per milliltre. This study concluded multiple things. First and foremost, the amount of bacteria that was transferred from the surface to the food exponentially decreased over time. For example in the first 5 seconds the bologna was placed on the tile surface, approximately 99% of the bacteria was transferred to the bologna. This trend also held true for the transfer of bacteria from the wood surface. As time went on, there was an exponential decrease in the amount of transferred bacteria for tile and wood. Figures showing this are presented below. A major difference was found in the transfer of bacteria from the carpet to the bologna. In the first five seconds of exposure, less than .05% of bacteria was transferred onto the bologna. A figure from the experiment is shown below. The lines in this graph are much more linear, and less exponential as shown in the previous figures. Overall, the study concluded that the amount of time the food was in contact with the bacteria did not necessarily matter, but rather how long the bacteria had been on the surface prior was a major determinant. For all three surfaces, at the 8 hour mark there was a spike in the amount of bacteria transferred. Why this happened is still a mystery but it shows how bacterial time on the surface plays a larger role then food contact on bacteria. In simple terms, the five second rule only remains true if the bacteria had also been exposed for that first five seconds. If one were to drop a piece of food onto bacteria that had been exposed for 24 hours, then in the first five seconds the food would be exposed to it, a significantly less amount of bacteria would be transferred to onto the food. Another flaw was that only salmonella was used, although its impossible to test all possible strains of bacteria. And even though the experiments were done in sterile petri dishes, it is impossible to account for all types of bacteria, so there is a chance there was foreign bacteria that could have skewed the results. Over the past week, the idea that the Great Barrier Reef has “died” has been circulating around the media. Rowan Jacobsen of Outside Magazine wrote an article on October 11th in the form of an obituary for the Great Barrier Reef, that sparked this media frenzy. 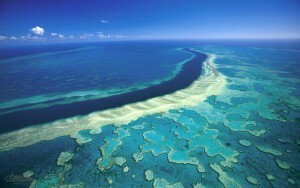 Although, this is actually false as the reef is still alive in some areas, but regardless it is still in grave danger. In the Great Barrier Reef’s case, there have been several incidents in which mass coral bleaching has devastated the area. Around 50% of the reefs within the Great Barrier Reef were bleached in 1998 when the waters around the reef were the highest ever recorded. 5% of the coral that was bleached was damaged beyond return. Another mass bleaching occurred in 2002, this time leaving 60% of the reefs bleached and once again rendering 5% of the coral damaged permanently. According to the reefs 2014 Outlook Report, the percent of hard coral covering has shrunken from to 28% in 1986 when the reef was first officially being monitored, down to 13.8% in 2014. The reef is also not home to just coral, but is also a home for thousands of species and a complex ecosystem that has taken a toll from the destruction of the reef. For example, as shown on the biodiversity page of the outlook, the sea grass abundance score has declined from a score of 60 in 2002, to a score of around 25 in 2013. In turn this has caused a decline in the population of a certain species of manatee called the dugong, as well as other species who depend on the meadows for nutrition/protection. So the reef is not completely dead contrary to popular belief, but the question that remains is can the reef ever return to a healthy state? Currently according to the National Oceanic and Atmospheric Administration’s, “A Reef Managers Guide to Coral Bleaching” coral reefs are experiencing the highest water temperatures in over 400,000 years. Global sea temperatures are predicted to rise by 1.4-5.8 degrees Celsius by the year 2100. This in turn would create more coral bleaching epidemics as these temperatures would cause the symbiotic algae to dislodge from the coral even after an increase of a s little as .6 of a degree Celsius. So, with rising temperatures evident in the near future, can the coral adapt? 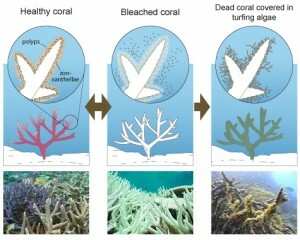 The current hypothesis is the coral has the potential to adapt to rising temperatures and resist the bleaching effect. For example the same species of coral could have different thresholds of bleaching. According to the coral bleaching guide, one species of coral has a threshold of 28 degrees Celsius in the Galapagos, but can withstand temperatures of up to 34 degrees Celsius in the Persian Gulf without bleaching. This shows that coral has the ability to create variability and adapt to different environments over time. But its really a question of how fast the coral can adapt. Like many other species, natural selection takes place and allows the coral with the most successful genotype to survive and create a new generation of coral with this genotype. In this case, that genotype would be resistance to temperature, in order to allow the coral to have a higher bleaching threshold. Coral has a special ability called acclimatisation, in which the coral can make biochemical changes at the cellular level which allows them to withstand higher temperatures (112). This process usually takes place over several generations of coral so the only way this could save the coral is if it can adapt faster than sea temperatures rise. Its all a race against the clock to save the reef. This entry was posted in Uncategorized on October 17, 2016 by Casey Brennan. Does LSD make You Smarter? Now just as a disclaimer, and so Andrew doesn’t get the wrong idea, I have never experimented with LSD nor do I plan to. Although, plenty of people have and some believe to have discovered a way to take it in which it improves their overall way of life. LSD or “acid”, referred to by the scientific world as lysergic acid diethylamide is a hallucinogen created from a fungus called ergot. The ergot is crystallized with along with other ingredients and is then diluted into a liquid. This liquid is then dropped or fused into edible items such as small blotter papers called tabs, gelatinous squares, sugar cubes, gummy candy etc. 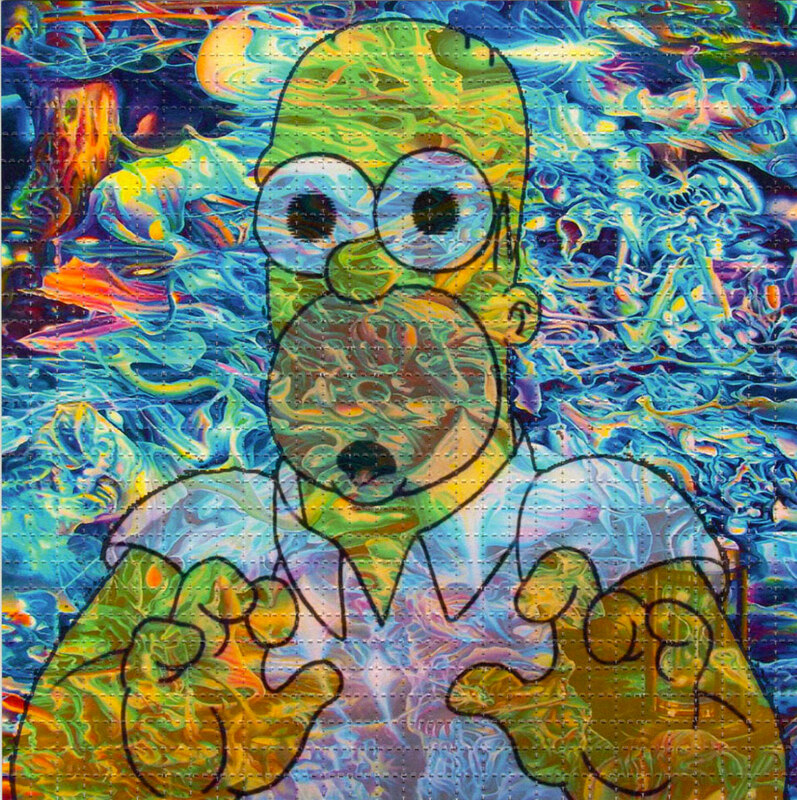 LSD can have a multitude of effects on the users mind, including visual and audio hallucinations and delusions. Users experience varying mood swings and have a lack of an ability to identify their own senses. Depth perception is thrown off and some senses blend to gather such as sight and sound. Many of these, “trips” are very euphoric and others are filled with terrible hallucinations, extreme fear and anxiety which are referred to as a, “bad trips”. Most people take LSD for recreational use, to find inner peace, or try and discover more about themselves. 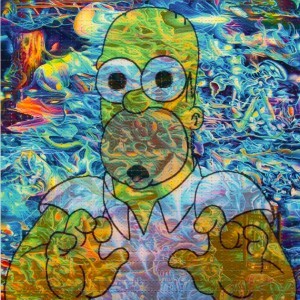 Although a small minority of LSD users take it not to trip, but rather to enhance the workings of their daily lives. This is called micro-dosing. LSD stimulates the pre-frontal cortex which includes mood and cognition. So by reducing the dosage and eliminating the hallucinogenic side effects, some believe that, that specific area of the brain is stimulated, yet to a point where people can still live their daily lives. Dr. James Fadiman, Ph.D is considered to be the godfather of micro-dosing as he was the first one to truly invest time and money into researching whether or not micro-dosing had any beneficial effects. Dr. Fadiman is currently still conducting an experiment in which he himself and other volunteers take 10-20 micrograms of acid every third day and then record their feelings, productivity, creativity, and sleep habits. Fadiman began the study in 2010 and claims to have improved his life through his micro-dosing cycle. Back in 1966, Dr. Fadiman and a team of other scientists did an experiment on the effects of psychedelics on problem solving, but it was stopped abruptly after the FDA deemed the experiment unsafe as Fadiman and his team were using human subjects band were giving them doses of up to 50 micrograms. Overall though the experiment had the same idea as the micro-dosing experiment, which was to discover if psychedelics enhanced peoples cognitive abilities. Dr. Fadiman is currently still conducting his experiment on micro-dosing so there has been no published empirical evidence, but Dr. Fadiman has given his two cents and claims that he and his volunteers have experienced a spike in their creativity, productivity, and overall mood improvements. You can view his micro-dose regiment and comments in this VICE piece. Skeptics of this experiment bring up the idea of the placebo effect, which is extremely plausible. People who are taking extremely small doses of a drug that is known to have very intense effects, are bound to in the back of their mind perceive improvements that aren’t actually happening. Especially when the usual side effects are not supposed to be present, it is only human like to perceive that somehow the body is being affected. It is very likely that in some peoples cases they simply just believe their lives are better, when in reality the small dose has done nothing but change their perception on their lives. But that in itself could be a reason people feel that micro-dosing improves their lives. Personally, one of my friends from high school has a brother who micros-doses LSD based upon Dr. Fadiman’s schedule and he is currently a junior at Harvard studying criminology. Not to say he wasn’t intelligent to begin with but it does make us non-ivy leaguers think a little about what micro-dosing can really do. This entry was posted in Uncategorized on September 14, 2016 by Casey Brennan. 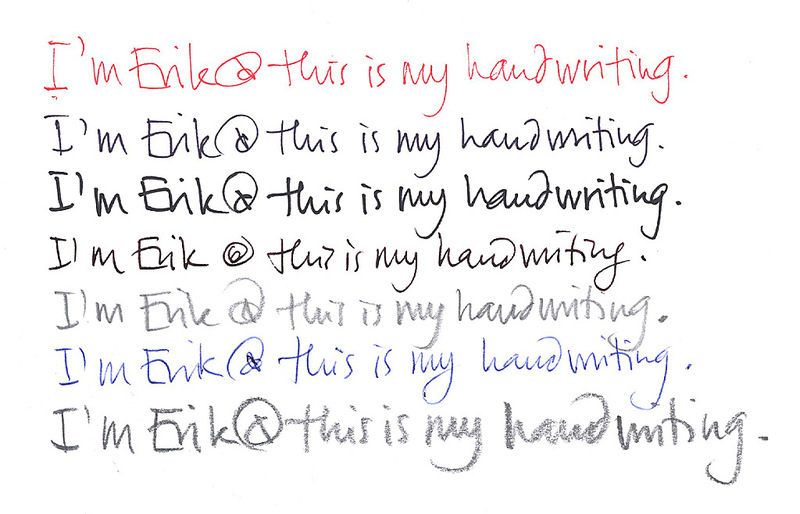 Why do Females and Males Have Different Handwriting Styles? If you were to ask a random person which gender had, “better” or “more legible” handwriting one could assume a typical answer would be females have more legible handwriting. This is most likely due to the social stereotype that women have neater handwriting, and that men are quite sloppy when in that department. But after thinking about people’s possible responses, I decided to research why people think this and to discover if there is empirical evidence backing the notion that females truly do have neater, or at least different handwriting than males. I found an experiment performed by John R. Beech from the University of Leicester, in which participants had to guess the gender of the author of random writing questionnaires based upon their handwriting. Overall 65.67% of the males handwriting was identified correctly, and 66.08% of the females handwriting was identified correctly. So overall the majority of the time people could correctly indicate which gender was behind the handwriting. 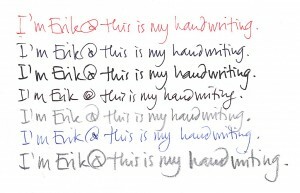 Within the results of the experiment, multiple mechanisms were identified to explain why men hand women have different distinct handwriting styles. One mechanism was the different physical features of men and women. On average the males in the study had bigger hands than the females, and their second finger tends to be relatively shorter than their fourth finger possibly resulting in a different writing style. Although, those who judged the handwriting were given criteria to rate the quality of writing on a scale of 1-5, and both genders writing on average resulted in a 3. This highlights the fact that females handwriting is not necessarily neater than males, yet they can still be differentiated from each other. Another mechanism is that women have prenatal hormones that cause for more “feminine” handwriting which on average contained more curved and bowed-out letters rather than straight. After further research I discovered the pseudoscience of graphology. Graphologists allegedly claim to be able to determine people’s entire situation based on patterns displayed in their handwriting. Everything from the lines they use to how they space out paragraphs is taken into consideration by the graphologists. From this the graphologists can determine a persons psychological state, current social situation, and even there current state of health. For example, a graphologist may say someone who has large spaces between their words and letters may be an introvert and isolate themselves from other people because they are afraid of close proximity and intimacy. Now obviously graphology is still a pseudoscience because no one can prove what graphologists say about handwriting is a direct result of the happenings in a persons life. Some scientists such as Barry Beyerstein, a psychology professor and science skeptic at Simon Fraser University, claimed graphology was nothing more than, “sympathetic magic”. Despite all of the skepticism behind the notions of graphology, I believe the underlying concept of graphology could relate to why people can tell the difference between a male and a females handwriting. As I stated earlier stereotypically women are expected to be neater, cleaner, and have a feminine aspect to their daily lives. Because of these notions, women may subconsciously apply this to their handwriting in order to satisfy this expectation. Men on the other hand are thought to be more careless in regards to being neat, presentable etc. and it is socially acceptable for men to be this way. Therefore subconsciously they do not apply this to their handwriting and therefore have a different style then women, who may feel they need to write a certain way. This is all just a hypothesis based on the notions of graphology, but I feel this could be another mechanism as to why men and women have different handwriting. This entry was posted in Uncategorized on September 6, 2016 by Casey Brennan. My name is Casey Brennan and I am currently a freshman in the Division of Undergraduate Studies and I plan to eventually get into the Smeal College of Business and major in either finance or marketing. I am from Ellicott City, Maryland which is approximately 30 minutes outside of Baltimore, and it was in that very place where I discovered the analogy of why science is like your in-laws. I’m only 18 so I have yet to sign my life away by getting married, so I don’t per say have any real in-laws. Although I do have plenty of cousins that have gotten married, and I therefore have been coerced into having to spend time with the families of their spouses on several occasions. 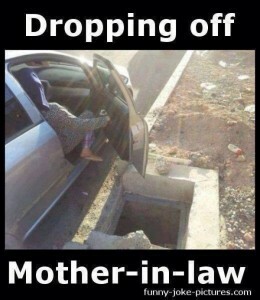 I can say first hand that the stereotype of people disliking their in laws is true. In regards to science, I wouldn’t say I necessarily dislike it, but it is definitely not my favorite subject. Growing up and going through k-12 my favorite subject was English as it usually presented the most opportunities to be creative or at least differ from the pack. There is never one definitive answer in English, unlike math and science where everything is concrete and must follow a strict process in order to arrive at a correct solution. This is the main reason I chose to not pursue science as my major. Although there is plenty of critical thinking and new discoveries to be made within a variety of science fields, my primary education experienced only exposed to me to the concrete, step by step, extremely uninteresting area of science and I therefore did not want to enter a field where there is too much structure. Through business I feel like I can change the world in a multitude of ways, while still staying true to myself, not following some 400 year old formula. Alas, I couldn’t go to school everyday and just go to English class. I still had to grind it out memorizing and regurgitating formulas and definitions along with my fair share of failed tests added to the mix. In regards to in-laws, I thoroughly enjoy spending time with my cousins and other immediate family members, just like I enjoyed English class. 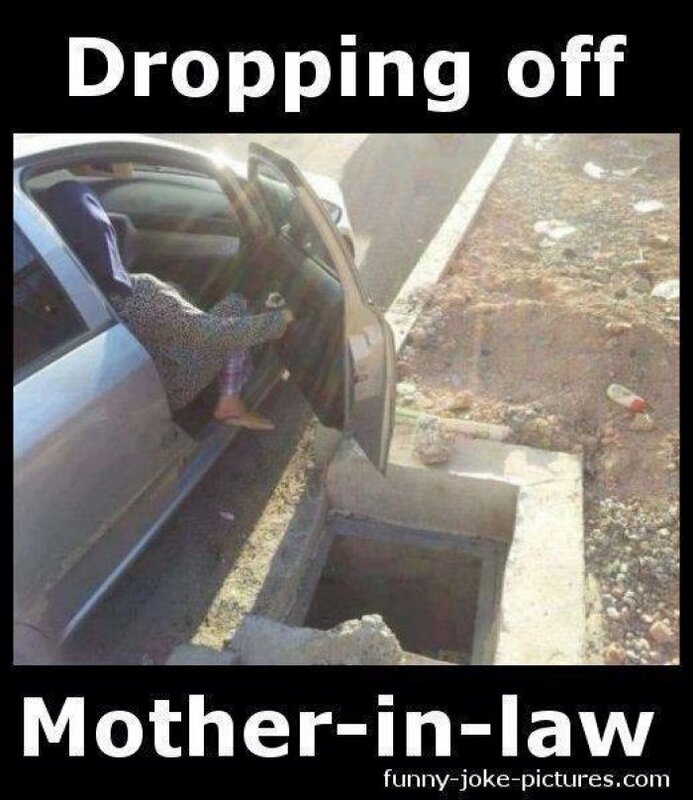 Although, a lot of times the in-laws would tag along and you have no choice other than to suffer through their undesirable presence, just like science. Every school day I would enjoy spending time with English, but then I was forced to spend time with the subjects in-law, science. The main reason a took this course, like most of you, was to fill a Gen-Ed requirement. I went to orientation fairly late in the summer so the only available classes were intro to bio, chemistry, or physics. Basically all of the subjects I despise. Then I stumbled upon this class that seemed to defy everything I knew about science up to this point. When I read that we will constantly be critically thinking and looking into subjects that really had no right answer I was sold. After receiving the handout with all the questions we will be discussing, I immediately took a picture and sent it to all of my friends. They quickly expressed their jealousy and I promptly rubbed it in their face that I found this diamond in the rough. I found this article discussing one of the questions that intrigued me HERE. This entry was posted in Uncategorized on August 28, 2016 by Casey Brennan.